Rooms from $60.34 per night. Description This Augusta, Georgia hotel has an outdoor pool, free internet access and non-smoking guest rooms. Free Wi-Fi free continental breakfast and free parking add value for our guests at Comfort Inn & Suites Gordon Hwy. This three-story hotel has 61 rooms with interior corridors. Rooms include cushy queen-size beds or double beds with pillowtop mattresses microwaves refrigerators flat-panel TVs and iPod jacks. You can surf the web with free Wi-Fi. Guests can follow the scent of warm waffles to the free continental breakfast. Crunch some numbers in the business center or crunch your abs in the exercise room. Parking is free. 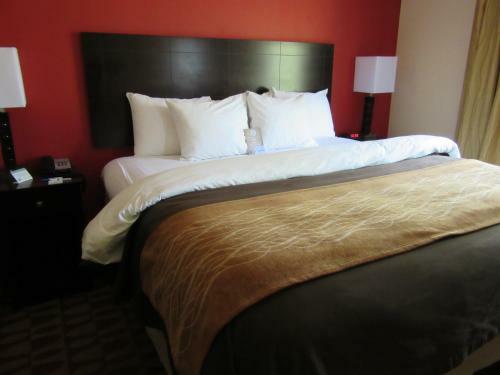 Comfort Inn & Suites is a five-minute drive from US-278 and I-520 offering easy access to the Augusta area. Fort Gordon a prominent military installation is a 12-minute drive. Augusta National Golf Course home of professional golf's prestigious Masters Tournament is a 14-minute drive. You can check out the shops and restaurants at Riverwalk Augusta along the Savannah River (a 15-minute drive). The historic Sacred Heart Cultural Center is a 17-minute drive. When it's time to fly out the hotel is 11 miles from Augusta Regional Airport. 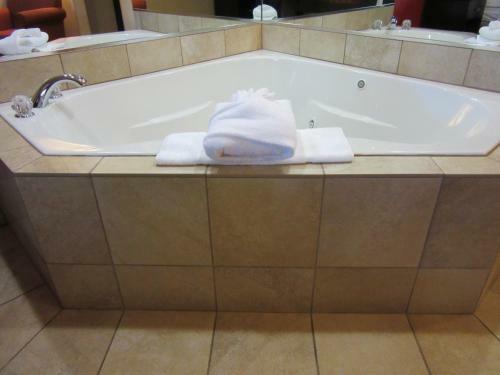 Add Comfort Inn & Suites Gordon Hwy to your free online travel itinerary.